Spoiled by fast Internet and constant accessibility, we expect our business website to stay online and work for us 24/7. So when the time to launch a new web design approaches, it is imperative to have the right plan. 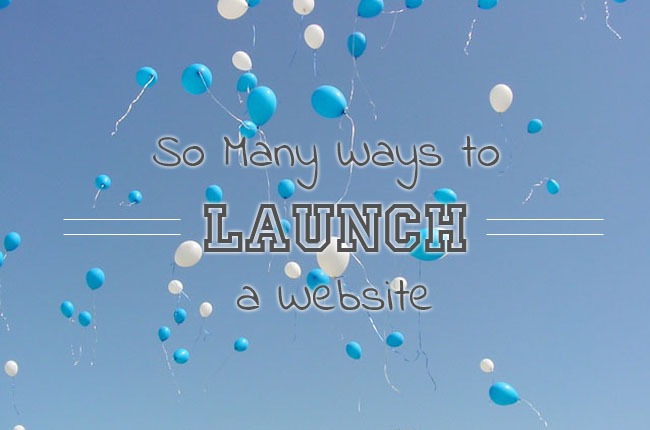 In fact, there are several different ways to launch a website, and they are not all appropriate for every business. This is often the go-to response from a web hosting company or domain name registrar when you explain that you are ready for your domain name to start pointing to your newly developed website. Nameservers are provided by a web hosting company or DNS manager. The nameservers contain all the information about where to point services for that domain name. For example, if your domain name is webii.com and you also own subdomains like blog.webii.com or email.webii.com and others, the nameservers must contain information that tells all of the Internet where each of those things should “point” to. The domain name registration record (WHOIS record) contains a section that specifies which nameservers you are using. So updating nameservers must be done by logging into the domain name control panel (for the domain registrar) and editing that NS record. But this option is not for everyone. For example, if you suddenly change your nameservers for an existing domain name and the new nameservers do NOT have all the appropriate data necessarily to send your website traffic, email traffic and other items to the right place, things are going to go wonky. Also, changing the nameservers is not instant. It can take up to 3 days for a domain name record change to propagate throughout the Internet. This means that if you wanted to announce your launch date, you need to be prepared that some people will see the new version right away – while others will see the old website until a couple days later. If the domain name is brand new and wasn’t being used with any established services yet, changing the nameservers to the new web host’s nameservers is probably appropriate. This option involves logging into the editing interface for your nameserver provider. It can also be referred to as editing zone files. If your nameservers for the domain name are provided and managed by your domain registar (for example if Go Daddy provides the domain registration and the domain is setup using their default nameservers), you will login to the domain registrar’s site to make these edits. If your web hosting company or another third party DNS manager provides the nameservers, you will need to login to their provided control panel. This kind of option is usually appropriate when there is a more complex DNS record and services are handled differently. For example, you might use one provider for email services, another provider for the website hosting, and another internal subdomain points to an Intranet at your office. Since these services all point to different locations, each one needs to be maintained in a separate record. If you are launching a new website, but you don’t wish to make any other changes to email or other services, you will only need to modify the DNS record related to website traffic. There is often a certain record indicated for www in the DNS, but there could be others. A professional IT manager can assist with this to be sure it is done correctly. This kind of change is typically faster to perform, as the propagation time is minimal for most providers. Using this method, the site could be live within a few hours. Here is a link to information on managing DNS at Go Daddy domains. And here is what Lynda thinks about it. This process is more involved than the previous two. When there is an existing business website in operation, we often develop the new one on a staging server. This is a good practice, as there is an environment to fully test the new website before it goes public. Meanwhile, the old website can remain accessible during the weeks when development is underway. In this situation, however, a careful launch plan is necessary. A web developer must get involved to ensure the web page files and databases are properly moved to the new server (or area of the server). In the case of CMS driven websites such as those built on WordPress, the urls must be updated to properly point to the “live” domain url instead of the temporary url that was used in the staging environment. If the website is being moved to a completely different server or a completely different web host, that can introduce other challenges as well. For example, the production server may have different modules or technology that needs upgrades to support the updated website. This is another reason that a professional web developer and possibly a server admin should be involved in the process. It will probably be necessary to put the production site into a temporary suspension or “maintenance mode” so customers are not caught off guard while the launch process is happening. The deployment could take many hours if there are multiple steps in moving and testing data. Syncing data can refer to a variety of things, but it basically means that there was some important data from the former live website that needs to be carried over to the new one. This is relevant for things like e-commerce sites, because during all the time when you were developing the new site, there have probably been new customers and new orders completed on the production site. You don’t want to lose all that data when the new version is launched. This means there has to be something in the launch plan to pause production (stop accepting new data for a little while) and import all the latest info, orders, customers, etc – into the new site’s database. Then, when the new web design is live – it will have all the current information you will need to continue operating the business. Part of the launch plan can include sending a warning notice to current customers about the planned maintenance date. When the website goes offline temporarily, a simple maintenance message could potentially display to let customers know you are upgrading the site and when they can expect it to be available again. Send an email newsletter to customers to tell them about maintenance day. Post a maintenance message on the live website temporarily. Prepare the new website with all the “live” urls. Sync data from new orders/new activity to the new website’s database. Backup old website and remove from server. Move the new website files to the production server. Move the new website database to the production server. Turn off “maintenance message” and test the new website at your live domain. Have the team do a QA check. Announce the exciting launch to customers and do a bunch of marketing. New website design already lives on its new production server home (so don’t move it). Update new website’s urls (or configuration files) to reflect the “live” domain url (gett ready). Login to domain DNS record and edit website traffic records to point to IP address of new site. Do NOT change the email service (MX record) at all so email stays online. Wait until it propagates, then visit the domain and test if the new site loads. Have the team do a QA check once the new site is accessible. Announce the launch and have a party. 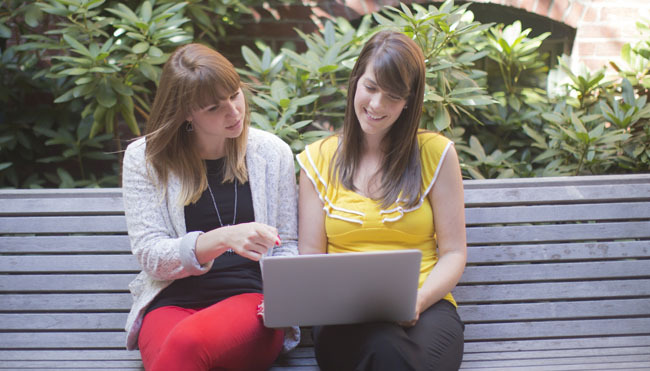 In our decades of experience developing and launching new websites, we have noticed that business owners often get feedback right after a launch. As more customers and staff visit the website in the days following the new website release, they start to notice little details, place real orders, or make custom requests that were not in the foreseen plan. For this reason, we usually recommend planning a launch date at the beginning of a work week, so your web developers, IT support and employees are available during the remaining work week to address concerns. If you launch the website on a Friday evening, you are likely to receive feedback about hiccups during the weekend – and if your office is closed and your web developers are unavailable – there will be embarrassing delay in addressing those items.